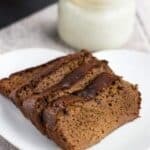 Flourless brownie loaf – this decadent dairy free chocolate brownie is extremely moist thanks to the secret ingredient (butternut squash puree). I love baking chocolate goods, no really I do. There’s something comforting about adding chocolate to a recipe, it adds a rich deep and addictive flavour. Let’s be honest with ourselves, the nation loves eating chocolate, it is responsible for secreting endorphins – the happy hormone. 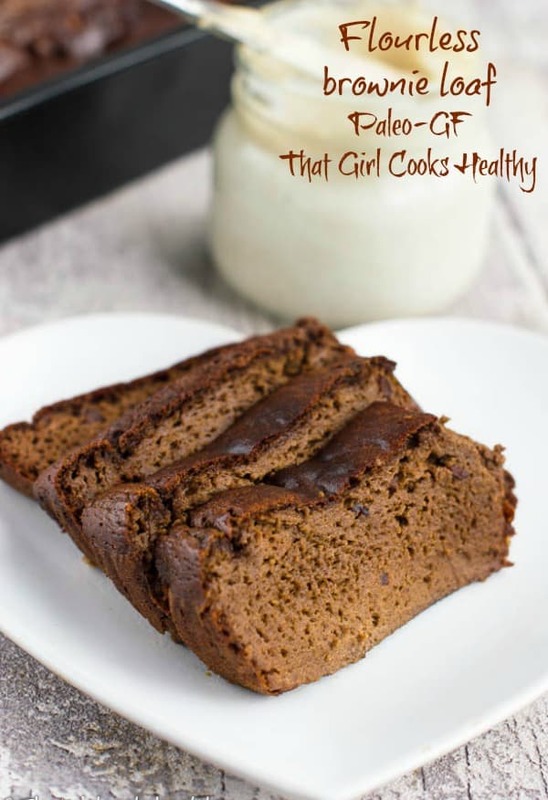 You’re going to get an abundant amount of happiness from this Flourless Brownie Loaf aka my FBL. If you’ve been following my blog faithfully now, you may recall when I first made this recipe – protein enriched red bean brownies – these brownies were high in protein and made using my secret ingredient, red beans. The beans were partly responsible for the high boost in protein. I decided to revisit the original formula, only this time extending it to the paleo diet (paleo doesn’t not include legumes). This recipe has an equal amount of protein, with the cashew butter being the equivalent to the red beans in terms of nutritional balance. Along with the cashew butter – high in omega fats, protein and selenium and we have the eggs which really strengthens the protein power. 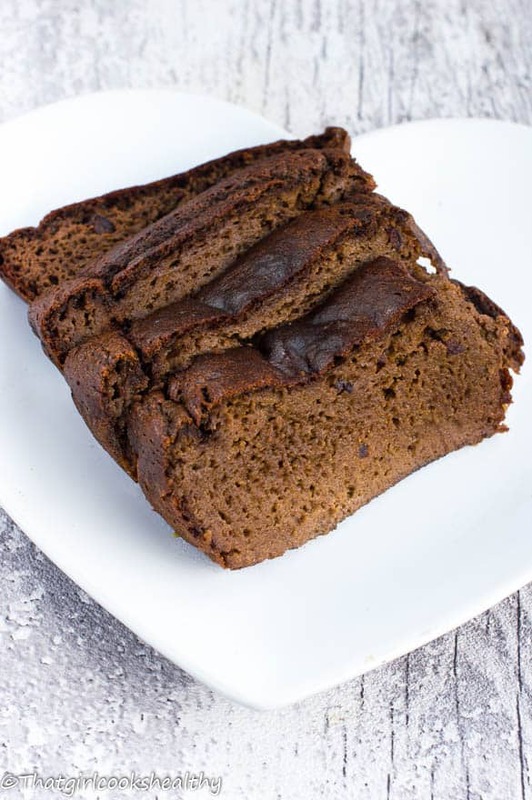 What I like to do is have this flourless brownie loaf on days then I’m doing either high intensity training, usually a few slices to boost my protein levels or eat some after a cardio session. The amount eaten really depends on my specific need at any given time. I strongly recommend baking a batch of this instead of resorting to the store brought bars that are ladened with unwanted extras which are harmful to the body. As I wanted to keep the sweetness as natural as possible, my choice of sweetener was date paste – packed with the correct amount of complex carbs, iron and fibre. 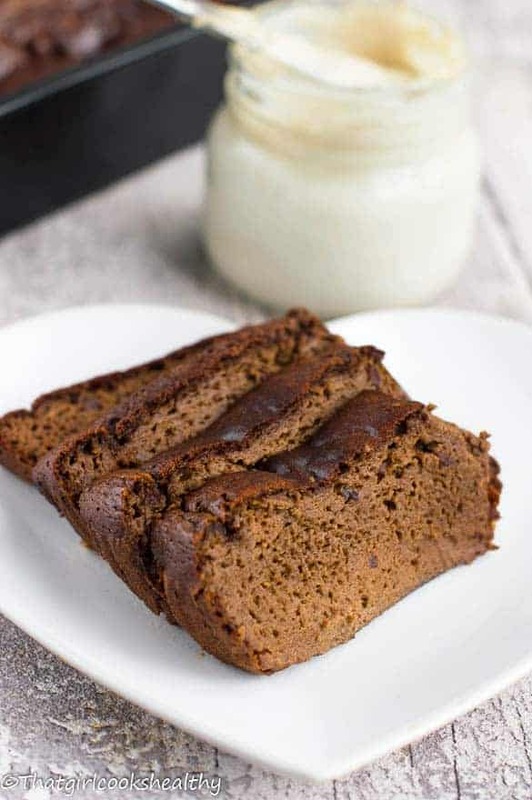 The paste date is what lends credit to the name “brownie loaf” providing a rather gooey texture. You can of course use coconut nectar, but why don’t choose the minimally processed sweetener instead and of course the butternut squash puree is high in vitamin A. Store in air tight container or refrigerator. Thickness of the date paste will determine cooking time. The thicker the date paste, the closer to the given time it should take to bake. Can use coconut nectar, maple syrup as alternative but reduce to 1/2 a cup instead. Line the loaf pan with parchment paper and set aside. Add the butternut puree, cashew butter, eggs and date paste to a food processor with a S’ blade and pulse for 30 seconds until the mixture is creamy. Follow up by adding the baking powder, baking soda and vanilla. Blend for a further 30 seconds being careful not to overmix the batter (we want to keep the loaf light and fluffy). Fold in the cacao nibbles. Bake for 30 – 35 minutes, check readiness by using a skewer or toothpick. Insert in the middle, it should come out partially clean. That’s sounds amazing! I love that the ingredients are really good for you! Would love to give it a try. Pinned & sharing! Thanks Yasmin, please do give this recipe a try. I’m positive you will enjoy it.